Beachcomber is a hot tub manufacturing company based in British Columbia, Canada. They have been making spas since 1978 and was one of the first spa companies to adapt the vacuum form acrylic. 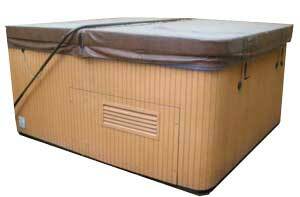 Beachcomber Hot Tubs feature EnviroSkirt maintenance free wood-look cabinets. 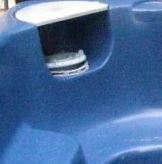 Hot Tub Outpost carries replacement spa parts for most Beachcomber hot tub models. Need a replacement filter cartridge for your Beachcomber hot tub? We offer a wide variety of filters to fit your particular spa model. See our bulk spa filters section for savings on money-saving filter 4-packs and multi-packs. Replacement spa controls, circuit boards and topside panels are available. Save by buying original Waterway and other brand replacement spa pumps for your Beachcomber hot tub. We also offer the complete selection of Waterway pump parts. Beachcomber refers to pumps as Dual Speed Massage Mate, Massage Master XLT and also has the Hush Pump for circulation duty. We offer 1HP, 1.5HP, 2HP, 2.5HP, 3.5HP, 4.5HP and other replacement spa pumps for your Beachcomber hot tub including the Executive 56 Series. Heaters are flow-through style and can be 5.5kW for the SST-1, SSST-2,SST-10, SST-15 and SST-20 models. This is the Balboa M7 style heater with sensors included. We also offer the Balboa sensors individually if needed. Beachcomber makes a total of 20 different hot tubs between their 300 series, 500 series, 700 series, 700 SLB series, in addition to their anniversary edition models 720 AE and 726 AE featuring a Titanium acrylic color. The 300 Series is Beachcomber's budget spa line that consists of 5 hot tub models. The 321 model is a round spa with 45 jets and seating for 5. The 340 model measures 70" x 86" x 34" and has seating for up to 5 persons. The 350 model measures 80" x 88" x 38" with a lounger and cooling seat. It has room for 6 with up to 104 customizable jets. The Beachcomber 360 model has room for 7, with up to 100 jets and measures 80" x 88" x 38" (no lounger). The 380 by Beachcomber is the largest in the series measuring 89" square, with room for up to 7 and up to 102 customizable jets. The 500 Series is Beachcomber's mid-range line and also has 5 models. The smallest, Beachcomber 520, has room for 2 with up to 60 spa jets. Model 540 has contoured seating for 5 plus a cooling seat, with up to 102 customizable jets in a 70" x 86" x 38" shell. Beachcomber model 550 measures 80" x 88" x 38" with 6 contoured seats, 2 cooling seats and up to 106 spa jets. The largest of the series, Beachcomber 590, is an 89" square spa with 7 contoured seats, 1 cooling seat and up to 101 spa jets. There are 5 models in the 700 Series,which are all available with the 700 SLB configurations. These spa series offer more options and features as they are Beachcomber's luxury line. The smallest spa is the 70" x 86" x 38" model number 715, with room for up to 4 persons, a lounger, a cooling seat and up to 143 customizable jets. The 720 model measures 80" x 88" x 38" with room for 7-8 persons and up to 147 jets. Beachcomber's model 725 is the same size, but with a lounger and up to 161 jets. The 740 and 750 models are the largest at 89" square inches. The 740 has a lounger, room for 6-7 persons and up to 183 jets. The 750 has contoured seats with up to 192 jets and room for up to 9 persons. The SLB 700 Series models are the same size and shells as their non SLB counterparts, but have added features like a metallic acrylic shell upgrade, underwater mood lighting, a sound system, a hush pump system plus additional features. Contact us at support@HotTubOutpost.com if you need assistance in finding the right spa part or accessory for your Beachcomber hot tub - send details/part number/even a picture along with your request if you like. We know you'll want to get back to enjoying your Beachcomber hot tub, so we'll get back to you quickly. Enter the part number into the search box at the top of any page (including this one) to go right to the part. Enter the description of the part you need or brand in the search box above. Search the section of the part type you need such as control panels, spa heaters, pillows,or filters. Or see the spa parts store for all parts. Shoot us an email to support@hottuboutpost.com for a fast response - you can include dimensions, picture(s) or any other information that will help us find the right part(s) for your spa. Have a question about a particular item? We will answer it fast. Hot Tub Outpost doesn't keep that email computer in the barn, we have it right in our store so we get your message, usually within minutes. We also get to them quickly so you can email 24/7 and have the answer along with links to the parts you need for further details while not waiting around on the phone or spending 1/2 hour on chat. Of course, if you are the chatty type, go ahead and use the chat box below or give us a call. Hot Tub Outpost is an independent spa parts dealer and is not owned by or affiliated with Beachcomber Hot Tubs.